We are offering a fantastic Spring Clinic Series in April, May, and June. Session #4 Classes are starting Wednesday April 4th, 2018. All classes and riding lesson packages are buy 5 get 1 FREE in 2018! We are excited to offer Emerald Valley Equine products for sale. Ask us for a list of products. Plus we have samples and product brochures too!! And we are gearing up again to head to AVA National Championships; this time close to home in Northern California at Gilroy Gates in Gilroy, CA August 2-5, 2018!! 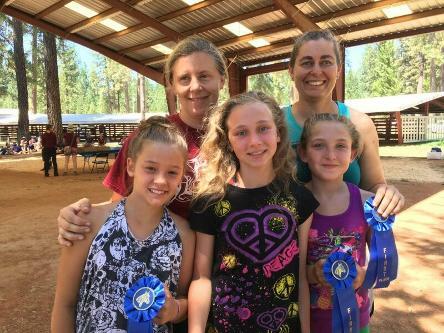 Equestrians In Harmony is currently offering vaulting classes at the Grove Farm in Orland and riding lessons at several locations in Butte and Glenn Counties. 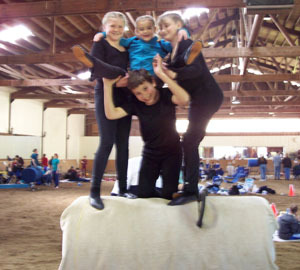 To see more photos and stay updated don't forget to check out Equestrians In Harmony & Phoenix Vaulting Club on Facebook. 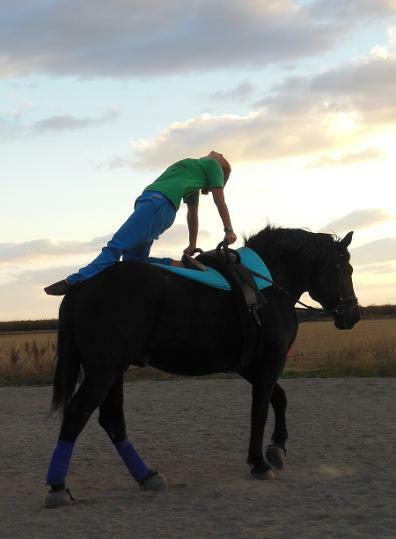 We offer Equestrian Vaulting classes and lessons as well as English Riding & Jumping. 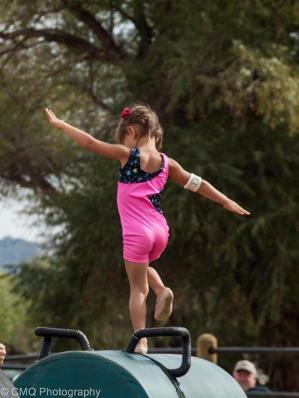 Our instructors are highly experienced, fun to work with, and totally passionate about what they do! Drop by anytime to see our classes and learn more about our program - you can also contact us for more information. Our mission is to help you become safe and confident around horses so you can enjoy the time you spend with them. Megan A Grove is a Graduate HA Pony Clubber with extensive personal experience; over 15 yrs in Equestrian Vaulting, Dressage, 3-Day Eventing, Hunter Jumpers, and Horsemanship & Care. "I am always amazed at how beautiful it is when we move in harmony with a horse whether trekking down a trail, flying over a jump, flowing across a dressage court, or standing and performing on the back of our horse." 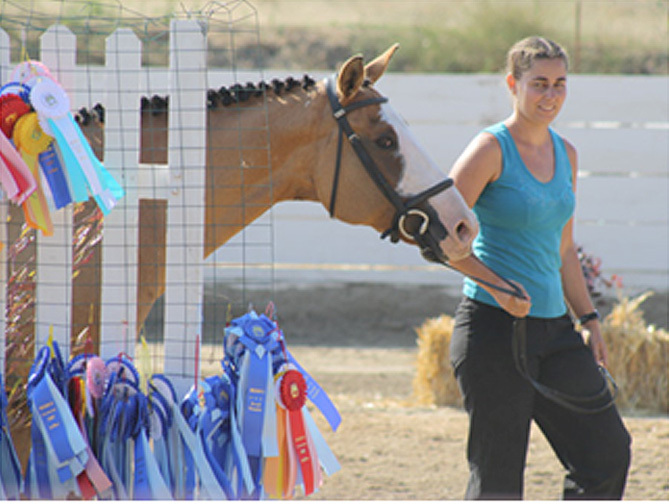 Kristin L Grove is a Graduate C3 Pony Clubber with extensive personal experience; over 10 yrs in Equestrian Vaulting, and over 15 yrs in Dressage, 3-Day Eventing, Hunter Jumpers, and Horsemanship & Care. 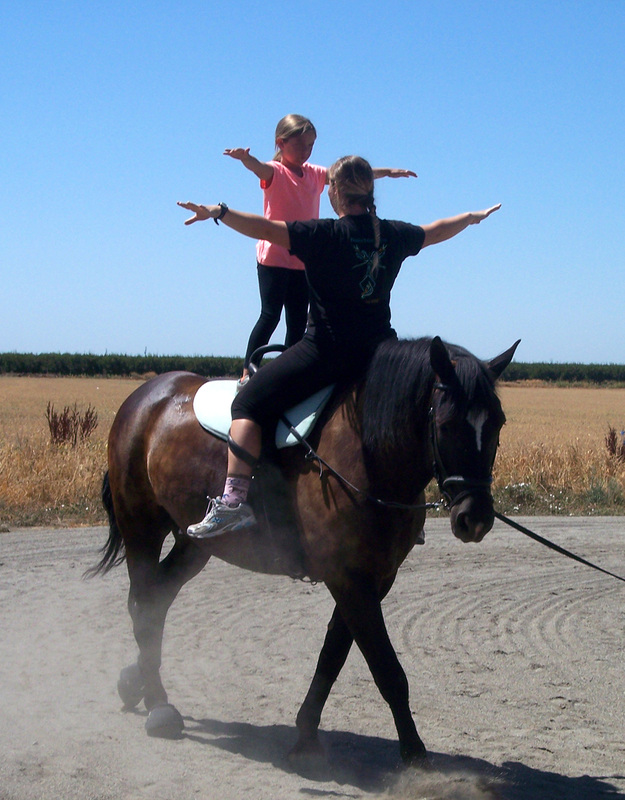 "Riding and working with horses has always been a source of comfort and given me balance in my life."